If you are finding that your beloved books or favourite jumpers have been nibbled away at, then the culprit may be silverfish. These small nocturnal insects can be found all over your house, but are especially drawn to starched clothing, book bindings, cereal and sweet houseplants due to their love of carbohydrates. The animal is wingless, silvery-blue in colour and moves like a fish – hence the name. Using essential oils is one of the best ways to be rid of these pests as the scent repels them and some can even kill them. It is also a natural answer to the problem, meaning there is no chemical damage to household items and the remedies are safe to use around small children and pets. These insects often arrive at a house long before its human inhabitants in construction material, living for up to 8 years and producing hundreds of offspring in this time. They can also be carried into the house in your grocery shopping and other items you bring into the house. These animals are very resilient and can even last a year without any food at all, meaning you may not realise that you have them at all to begin with. There are many different oils that you can use including eucalyptus, lavender, lemon, lime, and peppermint to name a few. 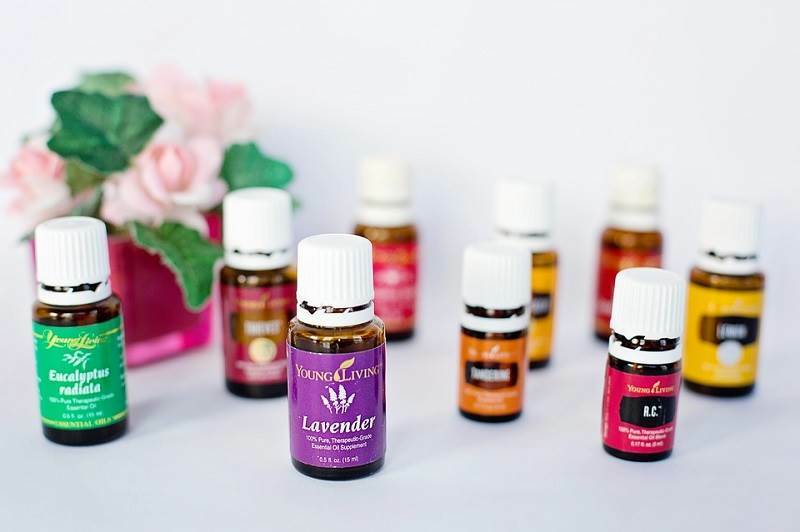 As essential oils are very concentrated, you can add a small amount to a spray bottle of water and spray it in the affected areas or where you think the insects may be coming from such as cracks and crevices, on shelves and in baths or showers. You can also simply add drops of the oil on its own into your wardrobes and drawers which not only keeps them smelling fresh, but wards off these destructive insects. Lavender is a popular essential oil to use to repel silverfish as it is a popular scent to use around the home and is readily available in shops. As it is made of natural ingredients, you can spray it onto almost any surface without worrying about chemical damage. It can be used on carpets, inside wardrobes and many other places. The silverfish will be repelled by the smell and hopefully leave your home. This is another popular spray for similar reasons and can be made simply from freshly squeezed lemon juice and mixed with some water. Much like the lavender spray, you can use this on your house’s furnishings to wipe down surfaces and deter the silverfish and other insects repelled by the scent. If you have a damp cellar filled with boxes, you may find that this is where the silverfish have congregated. You can oust them from these damp, dark corners by dipping cotton balls in cinnamon oil and placing these in boxes, on shelves and in the bottom of your wardrobe to repel silverfish. You may want to mix this with orange essential oil too which actually kills the silverfish by destroying the exoskeleton. Make a lethal mixture of 20 drops of each of these two essential oils mixed with 250ml of alcohol and shake it up to spray on suspected nests – look out for black dots that could be silverfish eggs as well as the adults. Remove everything from the space – all boxes, clothes, shoes, etc. Silverfish hide in everything, so all boxes must be emptied and inspected – you may want to spray or add the cotton balls previously mentioned to prevent future infestations. Once the wardrobe is empty, vacuum and then wipe it down to remove any nest of eggs that could be present. You can then choose one of the sprays previously mentioned to wipe down all of the surfaces inside to drive out any remaining silverfish that may be hiding nearby. Before replacing any of the boxes, check any that are not airtight sealed. Silverfish are especially attracted to the paper found in shoe boxes, so you may want to check or remove this before spraying the boxes or adding the soaked cotton balls. Shake out and even wash all of the clothing to remove any silverfish that may be hiding in the creases. They can cling very well to clothes, so your best option, though laborious, may be to wash everything. Replace all the items and add other precautions such as drops of essential oil or the essential oil-soaked cotton balls. There are other ways to be rid of silverfish, including chemical products that you can buy from household shops that use a poison to kill the pest. These products, however, can be damaging to furnishings and dangerous to children and pets as well as more expensive, so do your research before purchasing them. You can also buy commercial traps that lure in the silverfish with paper that they can eat and then trap them in place with glue. You can also buy similar traps with poison that will kill the silverfish. Ensure that foods that attract these insects are properly sealed – these include cereals, coffee, sugar and flour. Also make sure that the shelves that these items are stored on are kept clean and dry. Seal up any cracks or crevices through which silverfish could enter. You can buy fillers to do this yourself, so there is no need to employ a builder or decorator for small gaps and cracks. Keep your home clean and clutter free to ensure that there is less spaces for these insects to hide away in dark and damp crevices.